Between its cult bags, shoes and jewelry, Cult Gaia never fails to provide us with cool pieces that are at once sculptural and pared-back. 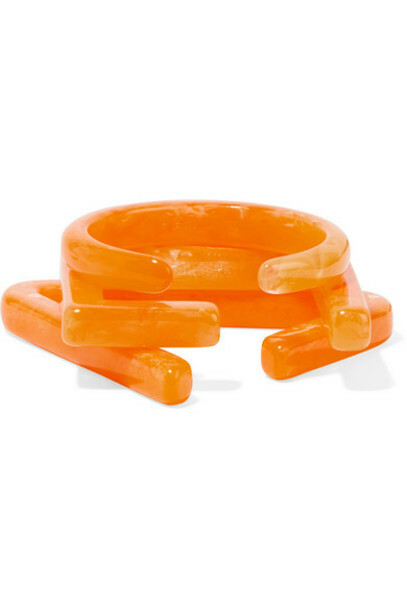 This trio of cuffs is made from marbled acrylic that's shaped into a square, triangle and circle. Wear yours stacked on one wrist, adding in the clear version for contrast.